Who hasn’t spent a few hours under the umbrellas at Ryan’s Bar? It’s practically a rite of passage for Sydney’s city slickers, but once you’ve outgrown the crowd, it’s nice just to look back with fond memories, or not so fond memories if you’ve had a few hangovers! So why the walk down memory lane? 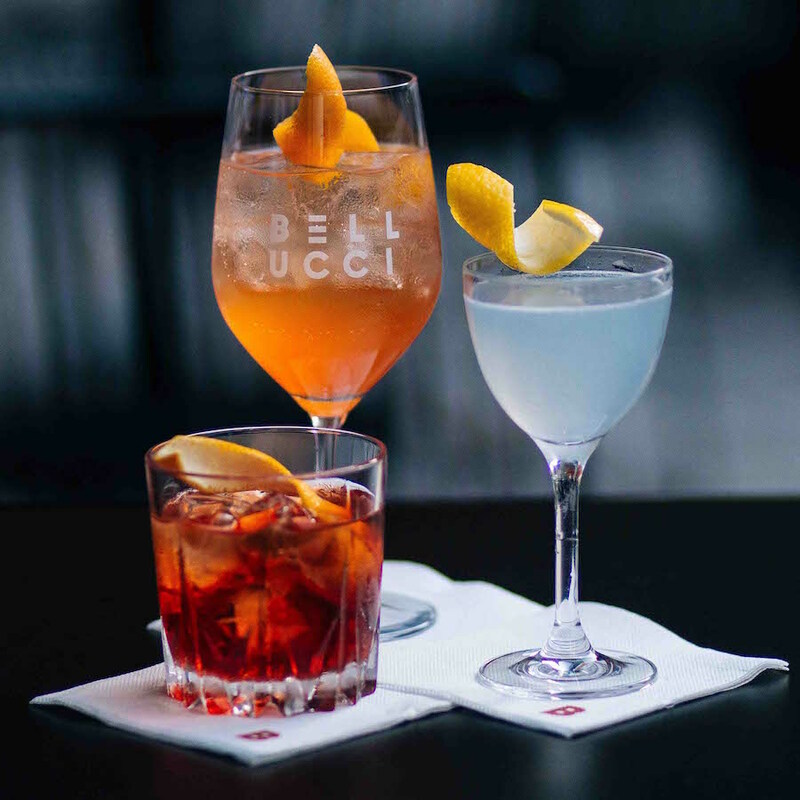 We’ve just spent a few lovely hours looking down on Ryan’s reminiscing about those boozy post-work bevvies – looking down from the brand new Italian eatery Bellucci Cucina, which sits just above Ryan’s on the outside mezzanine level of Australia Square. 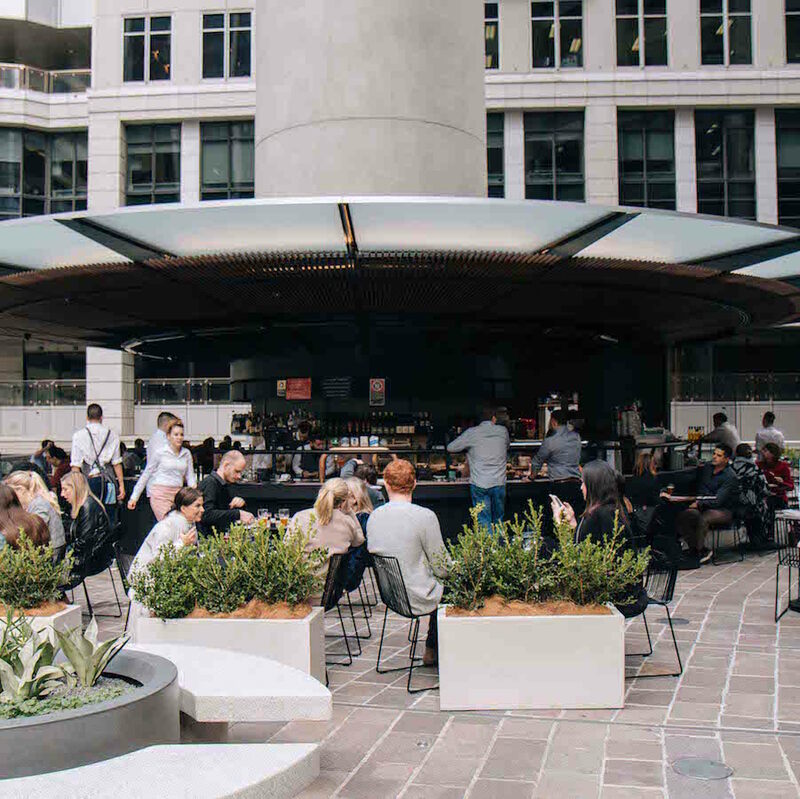 Well away from the inevitable Ryan’s overflow, but still part of the fun, Bellucci is a new indoor/outdoor space where you can settle in for a power lunch, an after-work session, or even a brekky meeting. It’s the best of a few worlds – sit at the tables outside to soak up the sunshine or hide away inside under the heaters when the rain comes down. Brought to us by George Nahas, a maestro of the Sydney dining scene, Bellucci comes from his love of all things Italian, but also that special something of New York city. Head chef Teofilo Nobrega hails from Fratelli Paradiso and is still playing with the menu, but we’ve got our fingers crossed he’ll be keeping a few standout items. Our vote is for the polpette, veal and pork meatballs that literally melt in your mouth. From Italian style eggs at breakfast to crab linguine for lunch and wagyu steak for dinner, there’s a little bit of everything on the menu. That’s alongside an extensive grab and go cabinet of sandwiches and pastries. Oh, we can’t forget the pizzas and salad menus. What is proper Italian food without an Aperol Spritz? We’ve got no idea, because we happily settled in with a spritz, before moving onto red wine. Like we said, you can have plenty of fun at this bustling Italian joint without having to join the melee.